The Peak District, one of the most scenic areas of Britain, has failed to escape the effects of the credit crunch. Repossessions are rising as workers living in the area feel the pinch, according to a recent report by the Commission for Rural Communities. "Economic inactivity" levels have increased by 40,000 in rural areas compared to 3000 in urban areas during the 12-month period ending in September 2008. The Scottish home building industry has welcomed Nationwide’s latest house price index which shows that Scotland remains the best performing part of the UK – even recording a slight seasonally adjusted increase in the last quarter of 2008 (the only part of the UK to have experienced any rise in prices for a year). Jonathan Fair, Chief Executive of Homes for Scotland, the organisation which represents companies building 95% of the country’s new homes, said: "With Scotland also found to be the most optimistic area of the UK with over half of consumers expecting house prices to stay the same or slightly rise over the next six months, these figures demonstrate the underlying strength of sentiment within our local housing market. “This is especially welcome at the start of the new year and, coupled with lower interest rates, hopefully bodes well for future performance. More than a million people were summoned to court last year because they failed to pay their council tax in full, research by the Liberals Democrats has found. Despite the recent spate of dramatic interest rate cuts, 17% fewer residential mortgage borrowers are taking variable rates, according to statistics from Legal & General. Its fourth report in the "Mortgage Purchase Index" series has analysed trends from data based on 18,683 mortgage applications through the Legal & General Mortgage Club from September to November 2008. Prices for prime country houses fell, on average, by 16% during 2008, with a fall of 9% in the final three months of the year, according to Knight Frank. However, price falls are likely to be more limited in 2009 and buyer confidence is returning to the market as vendors have become noticeably more realistic. Andrew Shirley, Knight Frank's head of rural property research, said: "The market for prime country property reacted more slowly to the credit crunch than other sectors of the housing market, but all that changed towards the end of last year as vendors looking to sell were forced to adjust their expectations. The South East experienced the largest net gain from internal migration – immigration less emigration to and from other UK regions - between 1998 and 2007 with 550,889 more moving to the region than left it, according to the Halifax. The South West recorded the second highest level of net internal migration at 514,511. The South East was the most popular region for people to move to from elsewhere in the UK. A total of 2.2 million moved to the South East from other regions between 1998 and 2007, 39% more than the 1.6 million who migrated to London from elsewhere in the UK. 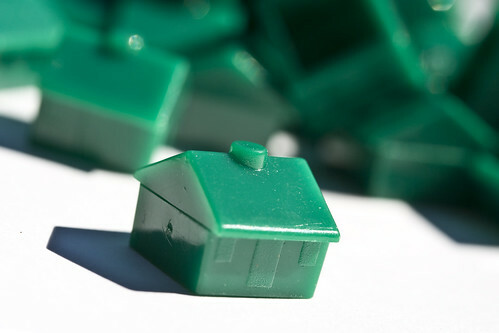 The Government's package of help for homeowners announced in the Pre-Budget Report came into effect this week. From 5 January 2009 waiting time for Support Mortgage Interest shortened from 39 weeks to 13 weeks and the capital limit increased to £200,000. In a recent change, this new rule also applies to people who are waiting now. As the property industry feels the pinch, a York estate agent is celebrating success and industry recognition for its forward-looking approach. Blenkin & Co scooped two of the 12 prizes at the recent Yorkshire’s Finest Property Awards. The firm was awarded Best Estate Agency Website for an independent agent and was also given the award for Best Single Property Marketing Campaign by an Estate Agent for property between £250,000 and £750,000. Hilary Pegrum, head of PR and marketing at Blenkin & Co said: “At a time when many people in our industry are cutting back on marketing, it’s great to be recognised for taking the longer term view. George Osborne, the Conservative Shadow Chancellor, has stressed Gordon Brown's recession policies are not working as new figures show mortgage approvals at a nine-year low. The latest statistics from the Bank of England revealed that in November 2008 mortgage approvals dropped to 27,000, the lowest figure since January 1999. Osborne said we must face the facts about the failure of Labour's economic policies. House prices fell by 2.5% in December - bringing the average fall for 2008 to a record 15.9%, according to figures from Nationwide. It is the largest annual drop since Nationwide began publishing its index in 1991 - and further proof of the huge decline in property values across the UK. Fionnuala Earley, Nationwide's Chief Economist, said: “The price of a typical house fell by 2.5% in December, a stark contrast with the modest fall of 0.4% in November.